President Trump’s first address before Congress was astounding, portraying a man who has grown into the role in a hurry and done it very well. 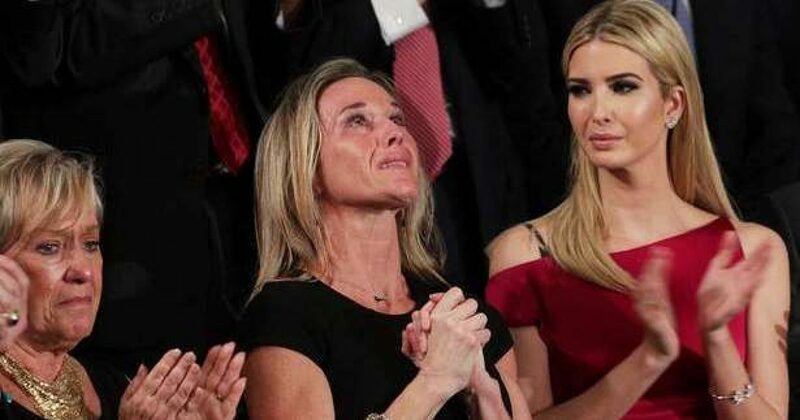 The most touching part of the President’s speech was his recognition of Carryn Owens, the widow of U.S. Navy Special Operator William “Ryan” Owens. In tears throughout the tribute and repeated standing ovations, Carryn looked often to the sky, speaking to her departed husband. I cannot imagine her grief. President Trump: “We are blessed to be joined tonight by Carryn Owens, the widow of U.S. Navy Special Operator, Senior Chief William Ryan Owens. Ryan died as he lived, a warrior and a hero, battling against terrorism and securing our nation.